The Williams Firm construction defect and soil subsidence attorneys have significant experience in representing clients in cases involving construction defects from single family residences to entire subdivisions to large commercial buildings. 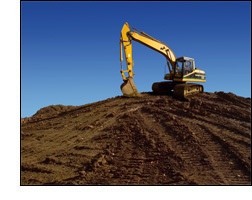 Significant construction claims can arise from defective construction and earth movement. Residential and commercial property owners have a right to expect that the real property they purchase is free from construction and soil defects, such as soil subsidence. Developers, contractors, builders, architects, and engineers have a right to be protected from unwarranted claims against them. The construction defect and soil subsidence attorneys of The Williams Firm have a comprehensive knowledge of construction law and offer effective representation as both plaintiffs and defense counsel in disputes involving construction and soil defects. Whether you are a property owner who needs to pursue a defective property claim or a construction industry professional who needs a strong defense attorney to protect your interests, you can rely on the experience, knowledge, and skill of The Williams Firm. To discuss the specifics of your case, please contact a construction defect and soil subsidence attorney at the Firm today. The Firm’s attorneys have experience in a variety of construction defect cases, including, but not limited to, all aspects of residential and commercial structures, soil subsidence claims, landslide claims, soil subsidence defects, lateral support claims, design claims, structural and civil engineering claims, building code violations, paving and grading defects, engineer and architect malpractice, and indemnity and contribution claims. Water intrusion, noise intrusion, cracked or damaged foundations, structural defects, dry rot, ceiling failure, exterior finish defects, or mistakes in designing, planning, supervising, or inspecting a property are among the many types of claims the Firm’s construction defect attorneys can address on your behalf. The construction attorneys of The Williams Firm will analyze construction defect and earth movement claims with retained consultants and experts in the applicable field of expertise. The Firm also provides services regarding transactions involving construction as more fully described on the Real Estate and Construction page of this Website. For assistance with construction defect issues such as soil subsidence, contact an attorney at The Williams Firm.